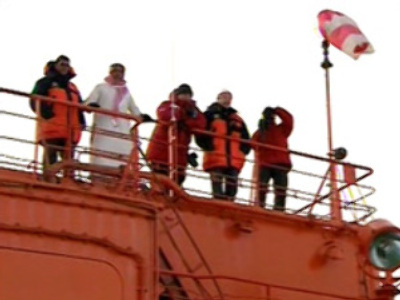 The ten-day expedition explored the seabed of the Arctic and planted a Russian flag there. The mission was to collect geological evidence, proving that a vast underwater area of the Lomonosov ridge, rich in oil and gas, is a continuation of Russia's continental shelf. The trip sparked criticism from Canada and the U.S. The Americans are now sending their own icebreaker to the North Pole for what it calls a pre-planned research mission.